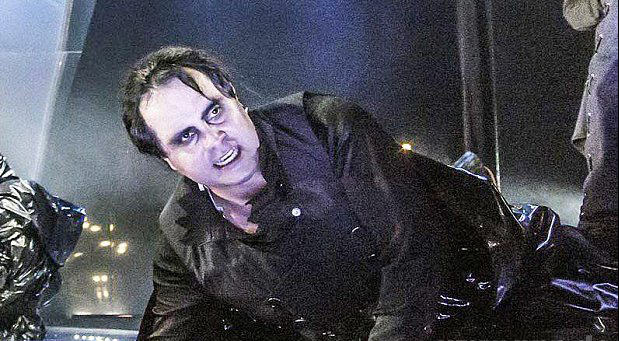 Since his successful debut as ARTURO in Bellini’s ‘La Straniera’ at the Theatre in Passau/Landshut in the season 2015/2016, Victor Campos Leal regularly returns to this opera house. In the season 16/17 he was EDGARDO DI RAVENSWOOD in ‘Lucia di Lammermoor’ and in the season 2017/18, he sings here GENNARO in ‘Lucrezia Borgia’, the STEERSMAN in ‘Der Fliegende Holländer’ and the SINGER in ‘Der Rosenkavalier’. 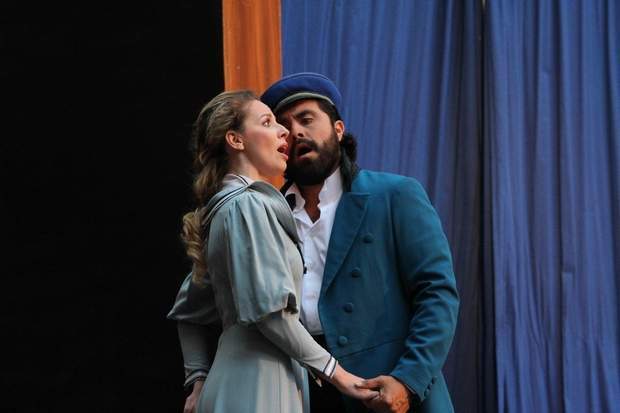 In 2014 he made his successful debut as ALINDORO in ‘Il barbiere di Sviglia’ on an Italy Tour. 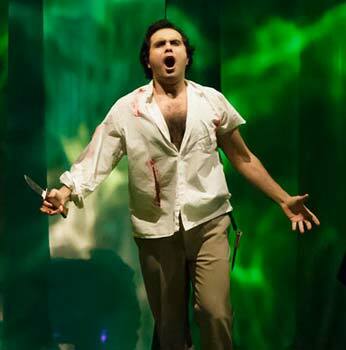 Since the season 2012/13 Victor Campos Leal is engaged at the Breslau Opera, where he can be seen in such roles as ALFREDO, the DUCA, DON OTTAVIO, NEMORINO, ISMAEL, EDGARDO but also as NADIR in ‘Les pêcheurs de perles’. 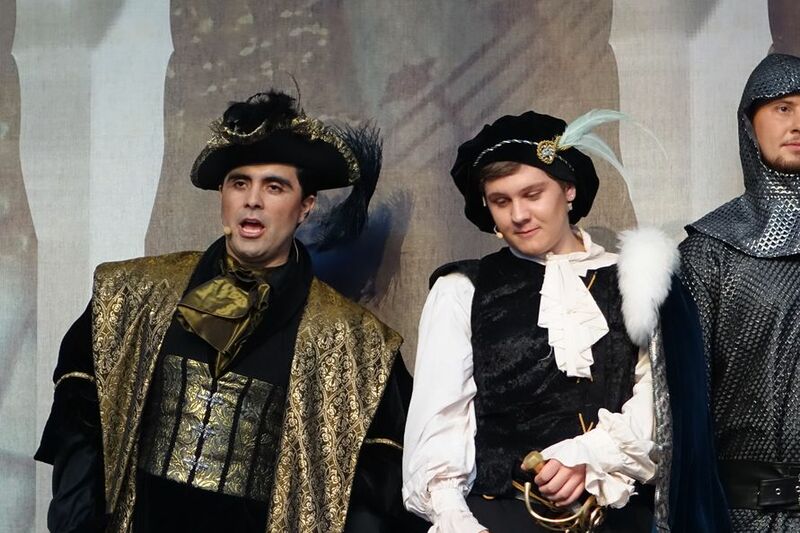 The young tenor Victor Campos Leal started his career with the interpretation of BORSA in ‚Rigoletto’ with the Carlos Chavez Orchestra under the musical direction of Carlos Lomonaco at the Opera House Mexico. Ever since, he has sung further important roles here, among which his performances as PINKERTON in ‚Madama Butterfly’ (a.o. with the Ensemble Arpeggio and the Juarez Symphony Orchestra) and as CONTE ALMAVIVA in ‚IL Barbieri di Siviglia’ are particularly worth mentioning. Born in 1980 in Mexico City, Victor Campos Leal began his musical studies at the National School of Music at the Mexico National University (UNAM). While still studying, he acquired the opera parts DUCA (Rigoletto), DON JOSÉ (Carmen), ARLECCHINO (I Pagliacci), PACO (La Vida Breve), BELMONTE (Die Entführung aus dem Serail) and EDGARDO (Lucia di Lammermoor) at the opera workshop of Maestro Enrique Jaso. Besides, the artist absolved master classes with Graciela Araya, Rogelio Riojas and James Demster. In 2010 he was a Prize winner at the international Carlo Morelli Singing Competition and the Francisco Araiza Singing Competition. 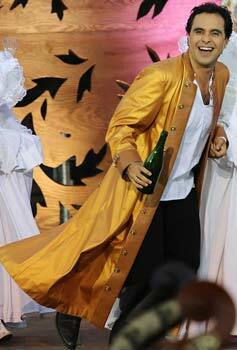 The good-looking tenor is also a much sought-after concert singer. His repertoire includes such works as Mozart’s Requiem, the Coronation Mass and the Mass in C Minor, Haydn’s War Mass, Puccini’s Messa di Gloria and Ramirez’ Missa Criola. In summer 2018 he sings the DUCA DI MANTOVA in „Rigoletto“ at the Wernigerode Castle Festival and gala concerts with the Vogtland Philharmonic Orchestra Greiz-Reichenbach. 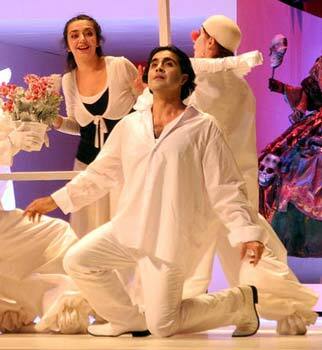 Victor Campos Leal (Percy) provided the play with tenoral magic, singing both with verve and stylistic sensitivity. The technically delicate part, that contains some real pitfalls, fitted his voice well. Brilliant Victor Campos-Leal at her side as Percy, who also threw himself vigorously into the part. He put in some generously exploding high peaks ( even 3 times hte high D) in his beautiful vocal line. Thank god they the „Vivi tu“ with the subsequent Cabaletta wasn’t deleted. . Campos Leal used it as his master piece. His – unfortunately reduced – duet with Anna also was one of the highlights of the evening. And in this particular Verdi Opera, a secure, dashing tenor is needed. 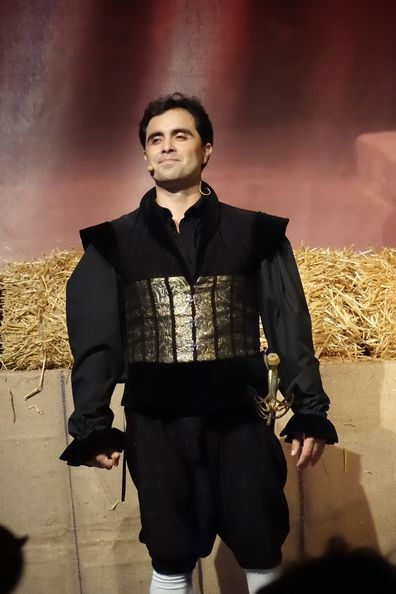 Victor Campos Leal has exactly the right stature for the role of the Duke of Mantova. 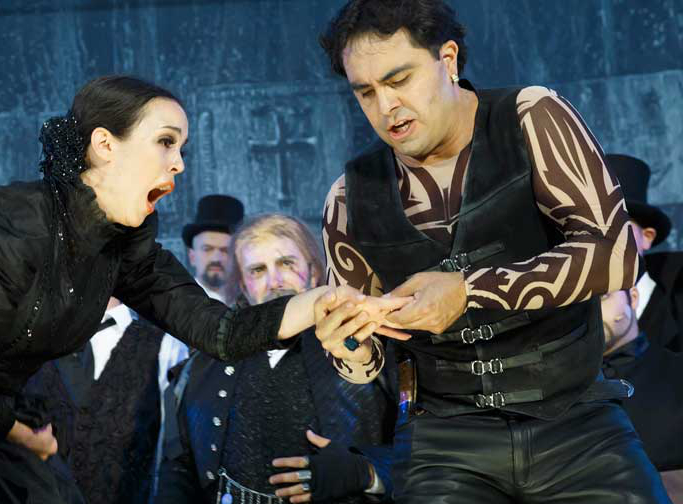 The Mexican tenor Victor Campos Leal’s powerful performance was certainly no less exciting. The part of Gennaro gave him a perfect chance to profitably apply the qualities of his flexible voice. 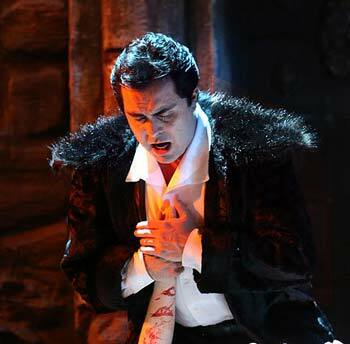 His brilliance in the high registers and his stylistically confident Messa di voce, as he convincingly proved in the aria „T’amo qual dama un angelo“, were equally captivating as his very emotional acting. A tenoral surprise came from Victor Campos Leal of the Passau Theatre. A beautifully timbred, mellow, lyrical tenor voice with outstanding pianos. His „Hostias et preces tibi“ was beyond compare, just like his „ingemisco“. Victor Campos Leal as the Italian singer ensured expressive brilliance. 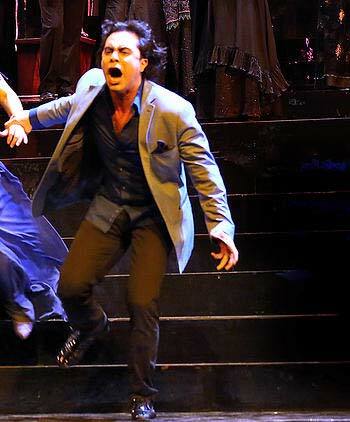 On the other hand the tragic lover Edgardo, played with real passion and inspired warmth by Victor Campos Leal. A few hours before the premiere of Rigoletto in Mautern in Liesingtal there was great excitement. One of the leading actors, the singer Tim Ribic, was suddenly fallen seriously ill. Spontaneously the Mexican tenor Victor Campos-Leal, who is currently rehearsing ‘The Flying Dutchman’ in Wroclaw, stepped in. He arrived, believing he would also sing the final rehearsal instead of right the premiere. Just to speak cleartly: Victor Campos Leal created at no time the impression to be just jumping in. 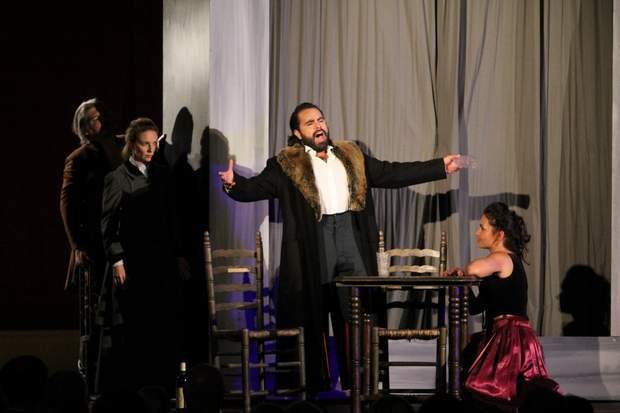 Masterly he sang his part and contributed to the enormous success just like the wonderful Maria Kublashvili as Gilda, Adrian Häuselmann in the title role, Daniel Cobos as Sparafucile and Susanne Hebenstreit as convincing Maddalena. VICTOR CAMPOS LEAL, another trump cardin this new production, prooved to be a highly respectacle tenor partner with a perfect sense of style , a clear vocal line and beautiful messe di voce, wchich is indispensable in this vocal style. 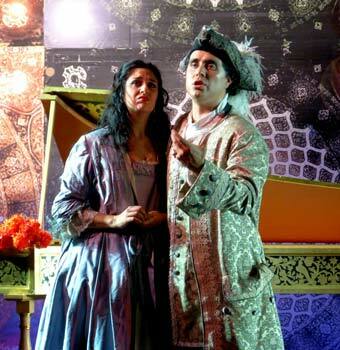 The young Mexican, winner of the Francisco-Araiza-Conest, is a member of the Brselau Opera ensemble for the time being. With this elegant, technically perfect interpretation of Arturo he proves to be suitable for bigger tasks. The Mexican Victor Campos Real excels through his lyrical tenor voice. 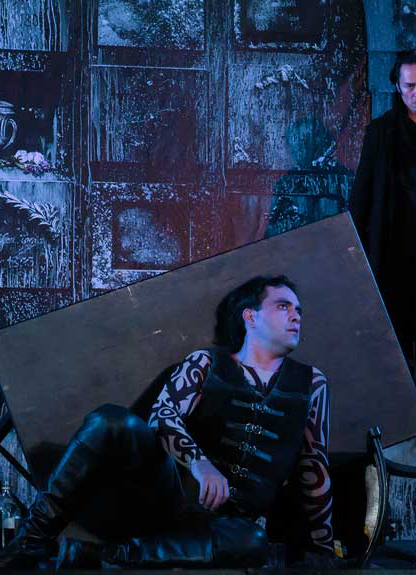 But also the Mexican tenor Victor Campos Leal cthrilled the Passau opera audience: his portrayal of Arturo is both vocally and actingly inspiring. At times he sings with a yearning love, then again consumed with devouring jaleousy. Overwhelming at the evening of the premiere was Victor Campos as "Duca di Mantua" - the womanizer, who plays some really passionate scenes in the third act with Anna Bernacka as "Maddalena"
In this Traviata Jijoung Jo's natural charm (Violetta) very convincingly melds with the touching Victor Camos Leal (Alfredo). Under the excellent direction of Bassem Akiki, both of them capture the audience.